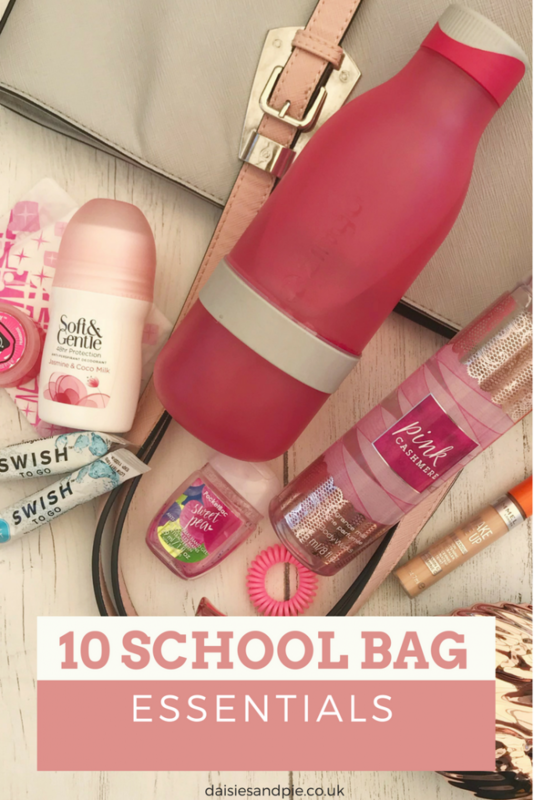 10 essentials every girl should keep in her school bag alongside the books! Water is very important! Staying hydrated is essential, it keeps your skin and body hydrated keeping it looking healthy and fresh it also reduces bad breath and headaches and makes me feel more alert. In my opinion water is the number one school bag essential on my list I usually take my infuser water bottle and add fruit in the summer. I always keep a small hand gel in my bag to just freshen up my hands. My personal favourite go to handgels are Bath & Body Works PocketBac’s, I picked mine up at the airport, however you can buy them from Amazon. They are cute little handgels in lots of different colours and scents so not only are they essential and handy they are also fun and smell good. I have really long, thick hair, so I like to keep a hairbrush in my bag because if it’s windy or rainy or if I’ve just had a busy day my hair tends to become extremely knotty and makes me feel uncomfortable. 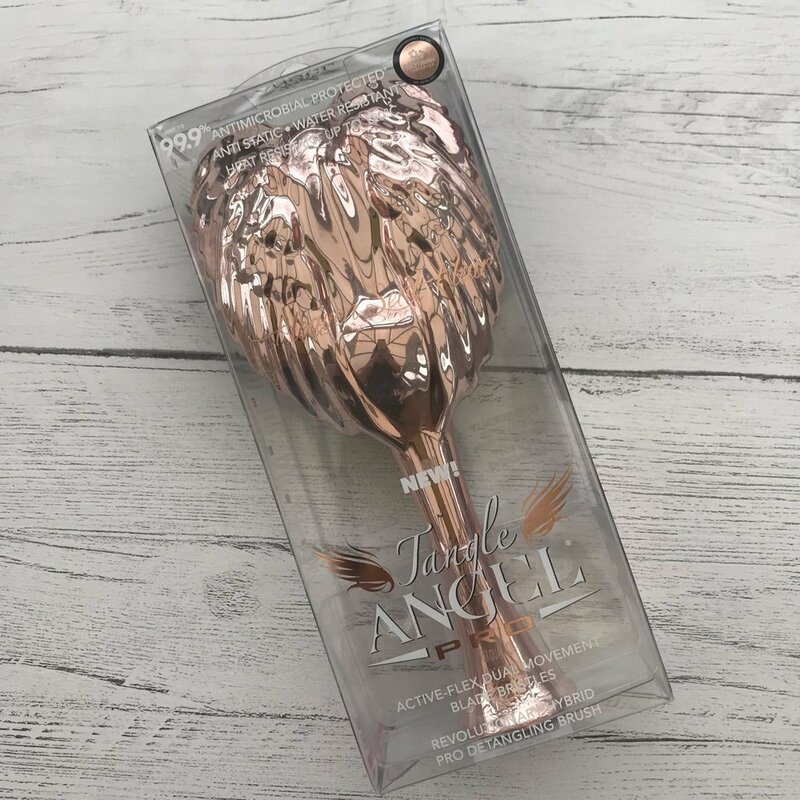 I love the Tangle Angel hairbrush – you can check our my review here. Spots and dark eye shadows are a daily occurrence for me and sometimes a bit of concealer in the morning isn’t enough. I always carry some concealer with me then if I need to cover those blemishes on my face it is always there in my bag. However I much prefer to be makeup free and let my skin breathe at school – the concealer is definitely a ‘just in case’ product. Chapped lips are a huge thing all year round for me and it isn’t fun. I hate the feeling and look of chapped lips and sometimes it can become painful so I always take a lip gloss or lip balm with me. My favourite lip balms are any Burt Bees or Carmex lip balm as they moisture my lips and make them nice again however I also love any Nivea lip balm as they are cheap and you can buy them in any shop. This is an obvious one, I always keep these in a zip-up pocket in my bag – I keep 1 or 2 in my bag in case of emergencies as they always come in handy for me and also to give to friends who may not have any with them. I also pack a little sachet of travel toothpaste. I use it sometimes if I feel like I have bad breath or if I’ve eaten something really garlicky and I don’t want my breath to smell as I feel self conscious if I have bad breath. 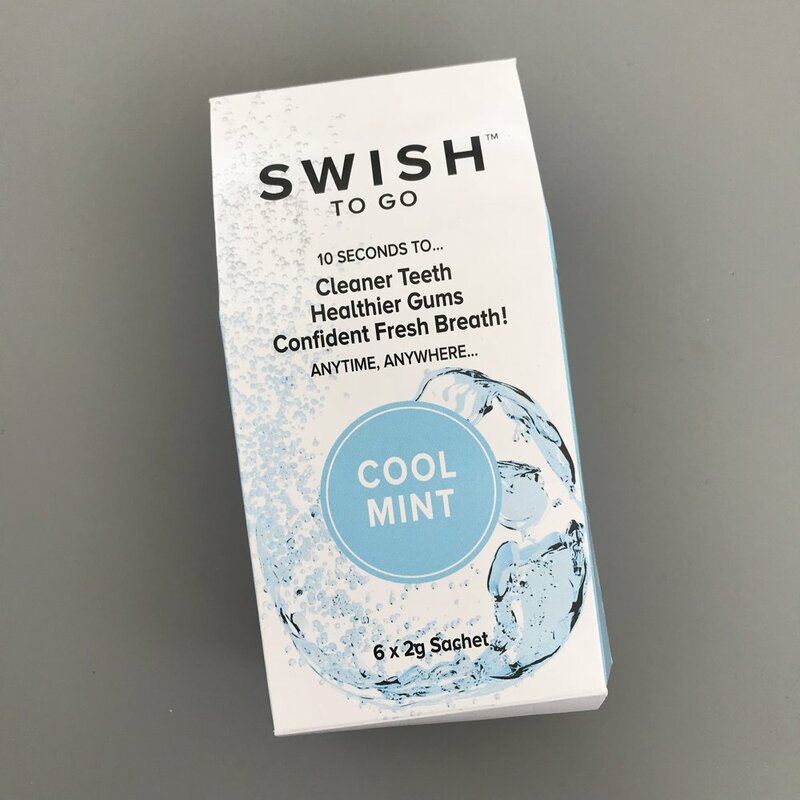 The little sachets from Swish are great – just tip on your tongue – swish around your mouth and swallow. These are fab for sleepovers and camping too! I ALWAYS bring deodorant as everyone sweats and no one likes the smell of sweat I use deodorant any time throughout the school day as it makes me smell a lot better and always comes in handy after sports lessons. I usually bring a roll on deodorant as it is smaller and easier. This in my opinion is an essential as I hate it when anyone smells bad! 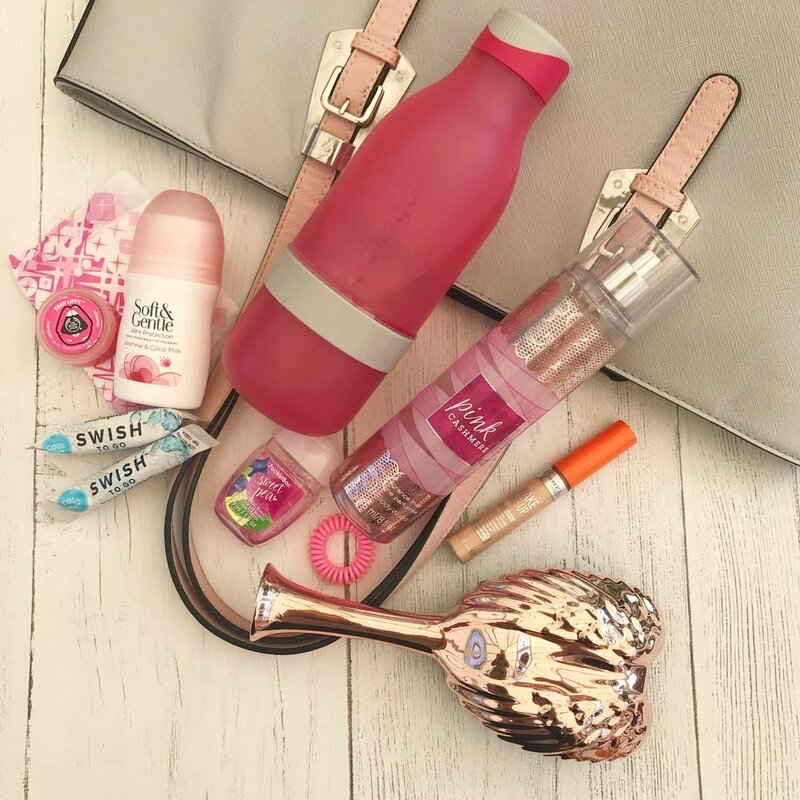 Some of my favourite body sprays are Hollister, Victoria Secret or Bath & Body works sprays as they smell delicious and are the perfect size for my school bag. These are definitely a MUST as my hair is long it can get in my way and become knotty or greasy so bobbles are essential. I always wear my hair up if it’s a little greasy – I’ve also started to use scrunchies a lot more than small bobbles – they just keep my hair up and secure and lot better. Disclosure – some of the products featured in this article (Tangle Angel hairbrush, Swish toothpaste and Zingo bottle) were sent over free of charge for review. For full details of my disclosure policy please read here.